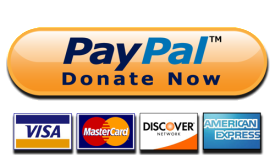 Make an instant donation securely via PayPal by clicking on the logo. Recurring payments which are especially useful for meeting regular expenditure such as food, clothing and scholastic materials can also be set up from here. Non-urgent donations can be made through the PayPal Giving fund which does not take any fees from the payment. Unfortunately they do not accept recurring payments at this time. To donate this way please visit our PayPal Giving Fund page here. Account Name – Starlight Family. Reference (required) – 80011 – Starlight. If you donate into the Credit Union account please can you drop us an email to let us know so we can thank you personally. The UK government operates a scheme called Gift Aid that allows charities to claim the basic rate tax on every pound donated by UK taxpayers. For example if you donated £100 to Starlight Family, it means that you’ll actually be giving us £125. Giving under Gift Aid means that so much more money can be raised at no extra cost to our donors. Any donations made by a UK taxpayer after January 31st 2015 may be eligible. Please email us at friendsofstarlightfamilyuk@gmail.com to receive a gift aid form. For our Ugandan friends and well-wishers who stay and live here in Uganda with us, donations can be made via Airtel Money Uganda to the registered mobile number in the names of Lukyamuzi James Founder and Director of Starlight Family Charity: 0755243340.